In 1887, the Fort Worth and Denver Railway announced it was building a line through the Texas Panhandle. Colorado City merchants wanted to establish a town and stores at a logical stop on the railroad that would be chosen as the new Potter County Seat. That stop was the geographical center of the county near the LX Ranch. J.T. Berry arrived to plat the town of Oneida, and because most voters were LT ranch hands, he and the town promoters promised each ranch a commercial and a residential lot if they voted Oneida the county seat. After Oneida won, it was promptly renamed Amarillo. The railroad arrived shortly after the election, and Amarillo immediately became a booming cattle shipping center. The post office was established in 1887. In May of 1888, prospective buyers were brought in by train, and town lots were sold at auction. Amarillo was doing well, but Henry B. Sanborn, part owner of the Frying Pan Ranch, argued that Berry's Amarillo site was on low ground that would flood during rainstorms. In June 1888, Sanborn and his partner purchased four sections of land on higher ground near present day Polk Street, now Abilene’s main commercial street. They offered lot owners the option of trading their lots in the old section for lots in the new section, and promised to contribute to moving expenses. Some people moved to the new section. After a spring flood in 1889, more people moved to the new higher location. The first annual Tri-State Fair was held in Amarillo in the fall of 1899. By 1890, Amarillo was one of the world's busiest cattle-shipping points. The population grew from 482 in 1890 to 1,442 by 1900. Two other railroads began providing service to Amarillo by 1903, and by 1910, the town had 9,957 residents. Gas was discovered in 1918 and oil three years later. After the 1928 discovery of the Cliffside gas field, with its high helium content, the Federal Bureau of Mines established the United States Helium Plant four miles west of town. The town continued to prosper and over the years added institutions of higher education and cultural facilities to its list of assets. Amarillo’s public art includes painted horses. Today, major industries include oil, petroleum, petrochemicals, agriculture and cattle. In 1988, Amarillo was the home of the world's largest feeder-cattle auction and headquarters of the American Quarter Horse Association. 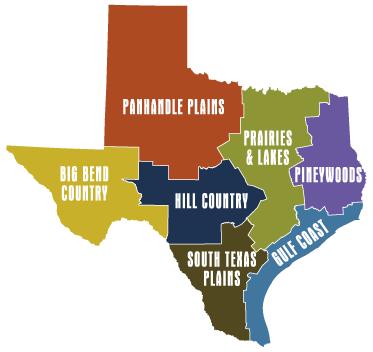 Amarillo is located at the intersections of U.S. 60, U.S. 87, U.S. 285, IH-27, IH-40, and several state highways, 48 miles northeast of Hereford, 36 miles slightly southeast of Vega, 85 miles southeast of Dalhart, 55 miles southwest of Pampa, 47 miles southeast of Dumas, 36 miles southwest of Fritch, 28 miles southwest of Panhandle, 67 miles west of Alanreed, 60 miles northwest of Clarendon, 29.8 miles northwest of Claude, 52 miles north of Tulia, 69 miles northeast of Dimmitt, and 18.6 miles northeast of Canyon, Texas. 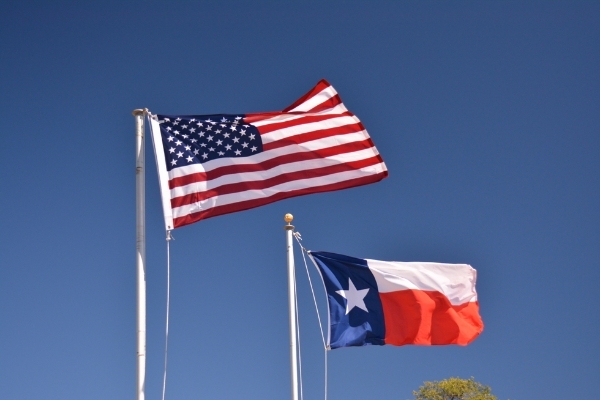 Texas Travel Centers are managed by the Texas Department of Transportation (TXDot). All are staffed by professional travel counselors who help travelers with routings and provide information on points of interest, events, and road conditions. Center amenities include and air-conditioned lobby and restrooms, diaper changing stations, drinking water, a group picnic facility, interpretive displays, pamphlets and maps, TXTag sales, picnic tables, a professional travel counselor, security surveillance, truck and passenger parking, vending machines, a video theatre, weather information, and free wireless internet access. Fall foliage and spring wildflower information is provided seasonally. Restrooms are open 24 hours daily. Call (806) 335-1411 daily from 8am-6pm. Road conditions are available 24 hours a day by calling (800) 452-9292. The center is open daily, 8am-6pm. Closed Easter Sunday, Thanksgiving Day, the day before Christmas, Christmas Day, and New Year’s Day. The center is located on east bound IH-40 (9700 E. IH-40) at milepost 76, east of Amarillo, Texas. This concrete and terra cotta courthouse was designed in Art Deco style by architects W.C. Townes of the architectural firm of Townes, Lightfoot and Funk of Amarillo. The courthouse is located on Taylor Street. This concrete and steel courthouse was designed by architects Hucker and Parge, and Ward-Brown Associates. The 2010 Potter County census was 121,073. (806) 379-2246. 900 South Polk Street, Amarillo, Texas 79101.